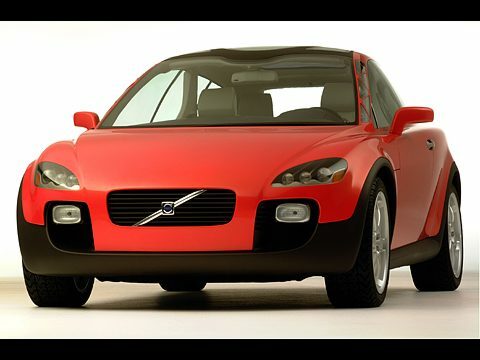 The main theme of the Volvo Safety Concept Car (SCC) is "superior vision". However, the car also employs a variety of technologies that enhance personal security and improve passive safety systems. SCC thus points the way to a new dimension in the research and development of car safety. The Volvo Safety Concept Car is a vision of the developments in safety that car buyers can enjoy in the future. It is also evidence that Volvo Cars and the Ford Motor Company are at the leading edge of the development of technology for safer driving. "With the quick pace of technological development, we are constantly gaining access to smaller yet more powerful computers, new sensors and so on. Volvo’s approach is to utilise the breakthroughs in an intelligent and sensible way. We combine advanced electronics with new materials and new mechanical design solutions to create customer benefits. One example of this is the Volvo SCC and its unique enhanced all-round visibility," says Hans Gustavsson, head of research and development at Volvo Cars. "More than 90 per cent of all important information to the driver comes in the form of visual input through the windows and windscreen of the car. If we improve the quality of this visual information, we will also improve the driver’s ability to make the right decisions in difficult situations, thereby avoiding collisions." That is why the forward-thinking Volvo Safety Concept Car is built for the eye. Not merely in terms of aesthetic appearances and lines pleasing to the eye, but rather because the car has been designed around the driver’s eyes to ensure better vision and visibility. When the driver gets into the seat, a sensor identifies the location of his or her eyes. The seat then automatically adjusts to suit the position of the eyes so that the driver obtains the best possible field of vision. Once this is done, the floor, pedals, steering wheel and centre console, including the gear lever, all move to ensure that all the controls are within convenient reach. The driver thus enjoys the best overview of what is happening both outside the car and on the instrument panel. The Volvo SCC is the result of close collaboration between Volvo Cars and its parent company, the Ford Motor Company. The car, which was designed at the Volvo Monitoring and Concept Center in California, demonstrates advances in several research and development projects in the fields of safety and security. It clearly highlights the cutting-edge skills and resources the company has at its disposal. The Volvo SCC has a number of additional functions that improve visibility. The driver can see through the supporting pillars of the windscreen – the A-pillars – as a result of a metal box construction combined with see-through Plexiglass. 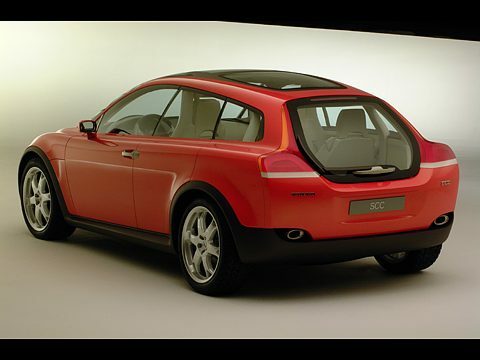 The B-pillars – the pillars between the front and rear doors – curve inwards following the contours of the seat frame to offer an unobstructed field of vision to the offset rear. A sensor located in the outer rear-view mirrors detects the approaching vehicle and alerts the driver to vehicles in the offset rear "blind spot". In addition, rearward-facing cameras integrated into the door mirrors can show the driver what is in the blind spot. The headlight beams adapt to the road and the speed – by directing the beam in the direction that the driver is turning at a crossroads or on a corner, for example. An infrared light enhancer boosts night-time vision beyond the reach of the headlights. A forward-facing camera monitors the position of the car on the road and alerts the driver if there is any tendency to veer off course. In addition, the Volvo SCC features a number of exciting features in the areas of active driving safety, crash protection and personal security. Together with the B-pillars, the front seat frames form a safety cage that is at least as effective in roll-over accidents and side-impact collisions as conventional B-pillars. 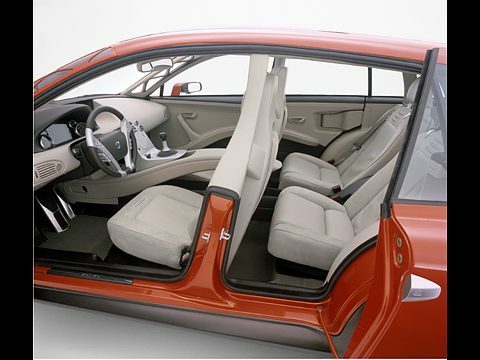 The car has two different types of four-point safety belt, the X4 CrissCross Belt and the V4 Centre Buckle belt. The X4 is based on a conventional three-point belt that is supplemented with an additional diagonal chest belt. The V4 Centre Buckle Belt is a new four-point safety harness that has a centrally positioned buckle and shoulder straps that form a "V" across the chest. The rear seat has two adjustable seat cushions whose height can be steplessly altered to give children the most comfortable and the safest seating position, irrespective of their height. The remote control unit has been developed into the Volvo Personal Communicator (VPC) and it has a number of new features. A fingerprint sensor personalises the remote control unit. The VPC transmits the driver’s personal setting parameters to the car, which automatically makes the necessary adjustments to the driver’s seat, steering wheel, pedals and so on. The system can even be pre-programmed with a number of destinations so that the navigation instrument is preset at the same time as the driver unlocks the door. A heartbeat sensor registers both human and animal heartbeats when the car is parked. The sensor is activated if anyone breaks into the car and hides inside it – or if a child or pet is left inside by mistake. If the driver is more than 100 metres from the car, the VPC can still transmit this information – via a cell phone. It is also possible to transfer information from a PC or hand-held computer.